Mexxenger is a new modular everyday messenger bag, which is a little different from the average, due to its smart capabilities and dedicated wireless charging pouch. Check out the video below to learn more about its construction using a variety of different fabrics. Mexxenger has been launched by a Kickstarter and has already raised nearly 3 times its required pledge goal thanks to over 400 backers. City life often requires an array of on-the-go equipment – from phone, to laptop, to lunch, to gym gear. It’s not uncommon for commuters and urbanites to attempt to fit an entire day into one bag. 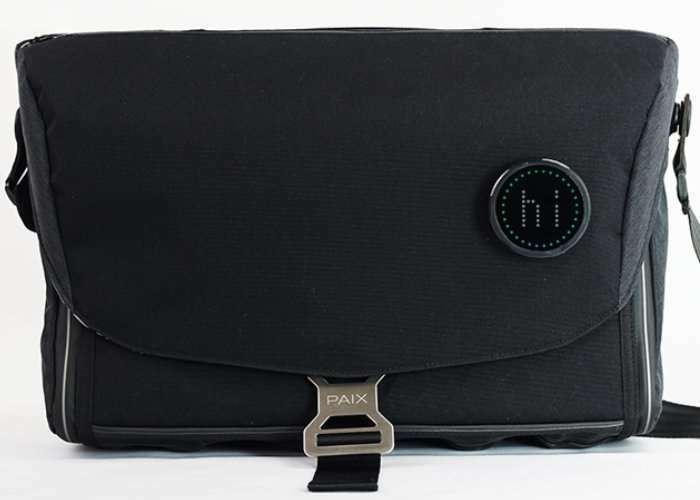 PAIX has combined design and functionality to create an amazingly high tech, highly versatile, and sleekly designed messenger bag to solve this problem. Mexxenger has all the essential features needed to get even the busiest urban professional through the day – and then some. The Smart Display easily attaches to the bag with a magnet. 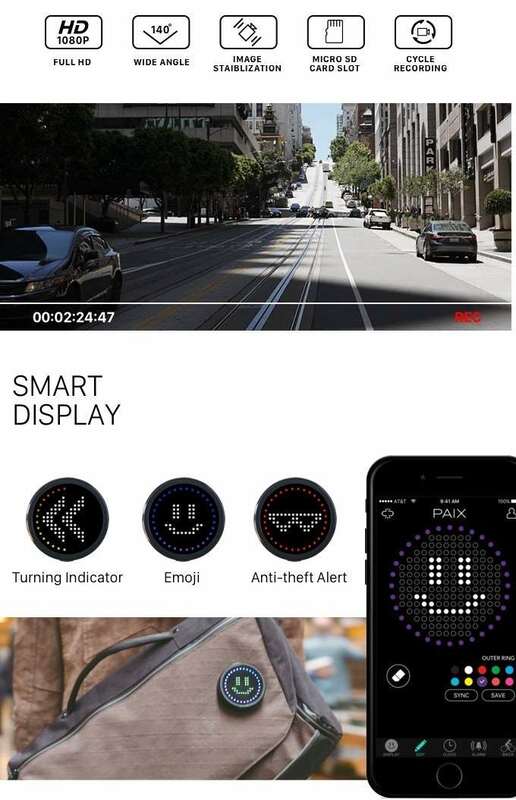 It can be used as a customizable LED display that lets you create your own Emoji to flash to the world, as a bike light and turn indicator for cyclists, and as a security notification, alerting you when your bag wanders more than three metres away from your smartphone. Mexxenger has a dedicated wireless charging pouch to give your phone juice on the go. The charging pad supports Qi enabled smartphones, and will support the latest iPhone. USB charging is also available. The Mood Torch can be mounted to a metal coil tube to create a personal desk lamp. It’s also a programmable light-based alarm clock, that wakes you up via light display. Mexxenger is now available to back via Kickstarter with early bird pledges starting from $169 and delivery expected to take place during December 2017. For full specifications and more information jump over to the official Kickstarter campaign page via the link below.